Have you received a subpoena or some other notice that you are part of a government investigation into criminal activity? 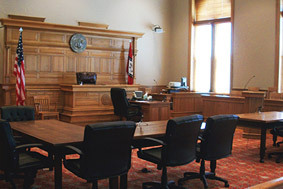 When a prosecutor launches a grand jury investigation or other proceedings, all suspects and witnesses have cause for concern about where it will lead and the potential impact on their lives. As former First Deputy Bureau Chiefs responsible for training other prosecutors, both partners in our firm have extensive knowledge and insight into a wide range of government investigations. Whether you believe you are currently viewed as a criminal suspect or a witness, it can be a tremendous risk to testify or speak to authorities without strong defense representation. Government investigations are often essential for prosecutors to gather evidence of complex “white collar” financial crimes such as embezzlement and fraud including Medicare, insurance or mail fraud. Prosecutors may be striving to file as many serious charges and counts as possible — including enterprise corruption, a felony punishable by up to 25 years in prison. Your situation may call for an attorney capable of understanding intricate business relationships and transactions as well as the full spectrum of effective criminal defense strategies. 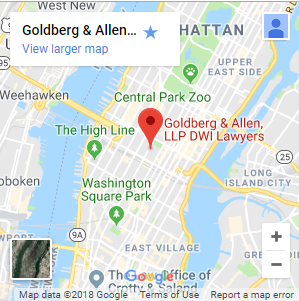 For counsel focused on protecting your freedom, livelihood and criminal record, please contact us as soon as possible at Goldberg & Allen, LLP, in New York City. Call 212-766-3366.